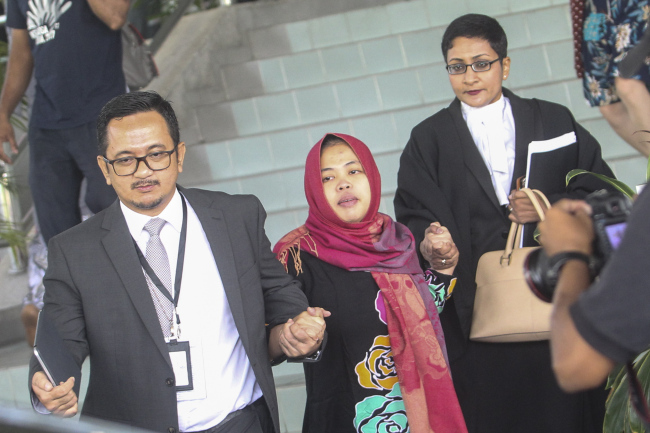 SHAH ALAM, Malaysia, March 11, 2019 (AFP) - An Indonesian woman accused of assassinating the North Korean leader's half-brother was freed Monday after Malaysian prosecutors dropped a murder charge against her, in a shock decision a year and a half after she went on trial. court: "We are pleased with the court decision. We will try to fly Siti back to Indonesia today or as soon as possible." Prosecutors had presented their case in the first stage of the trial. Witnesses described how the victim -- the estranged half-brother of Kim Jong Un and once seen as heir apparent to the North Korean leadership -- died in agony shortly after being attacked.